Why It's Awesome: Off-roading is awesome. It's stupid that moms buy SUVs and never use them in the dirt anyway. Why It's Stupid: That Cadillac SRX or Buick Enclave is not really an SUV, it's more like a station wagon that's inexplicably too high off the ground. It's about as off-road worthy as a Lincoln Town Car. 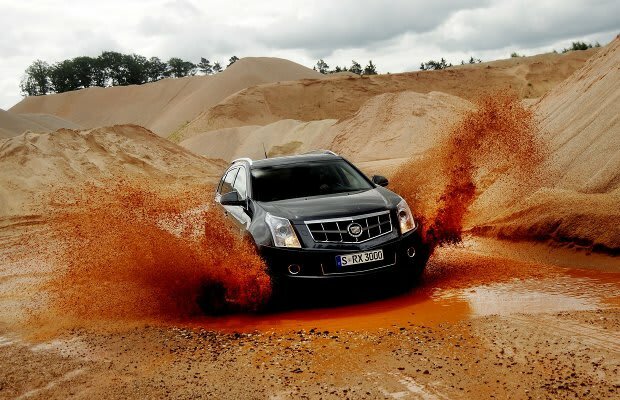 If we had to guess, we'd say that the Caddy pictured above stalled out about two seconds after that picture was taken.